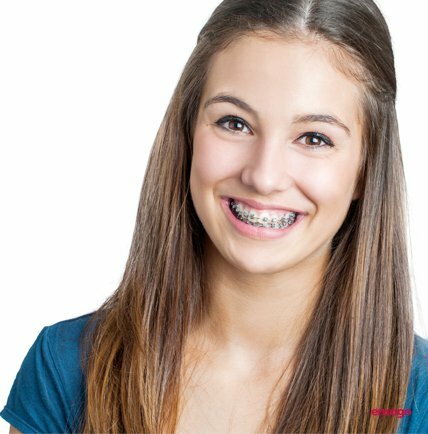 Traditional metal braces have long been the treatment of choice to align crooked or crowded teeth. Since most dental insurance companies only cover a portion of the cost, patients or their parents want to know, “How much do traditional braces cost?” This is a legitimate question when you consider the financial and time commitment necessary for successful orthodontic treatment. Knowing how much to budget or to set aside in your Health Savings Account helps to lessen anxiety so you or your child can go into the treatment process with confidence. Area of the country where you live. Medical and dental costs in the Midwest tend to be lower than they are on the East and West coasts. Sometimes people decide to receive treatment with clear braces instead after having their initial consultation. In that case, the average nationwide cost is $6,500. Trade-offs for the higher cost include a shorter treatment duration and the ability to be discreet about dental treatment. Dr. Qureshi of Healthy Smiles of La Grange will prepare a written estimate of all anticipated costs during your initial consultation. Our office staff will also help you research methods to pay for orthodontic treatment, including applying for Care Credit. This is a third-party health financing company that offers low monthly payment options and interest rates for qualified customers. We also accept all major credit cards. Misaligned or crowded teeth are more than just a cosmetic concern. They can also make it more difficult to clean your teeth, a problem that leads to tooth decay and other serious dental issues. We encourage you to schedule a consultation today to learn more about traditional metal braces as well as financing options.